Concrete is one of the most durable materials on the planet. In fact, it is possible for concrete to last a lifetime. However, you should never take the concrete for granted. It does require a little bit of maintenance from time to time. You should always do your best to keep the concrete in tiptop condition. Doing so will make it last as long as possible, while also ensuring it remains aesthetically pleasing for many years to come. Within this guide, you will learn how to keep your concrete in immaculate condition. Concrete is a very sturdy material. It is also resistant to stains. Still, there will always be a possibility that your concrete will become stained at some point or another. The concrete can soak up spills, oil and other materials. This can lead to imperfections and an unpleasant appearance. One way to stop this from happening is by using a sealer. 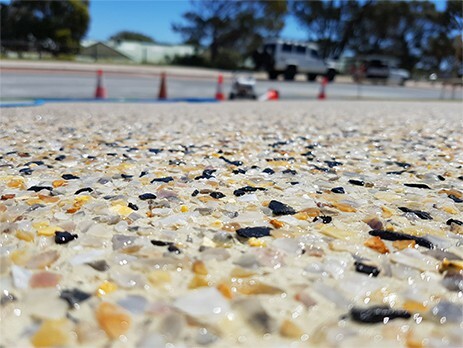 A sealer is put down on top of the concrete to prevent moisture and other materials from penetrating through the concrete. A sealer is a great precaution. It will help keep your concrete clean and beautiful with a little less maintenance. It is possible for concrete to stain and it is possible to remove those stains. All you need is the right ingredients. If you prefer to stay away from commercial solutions, which may be hazardous to your health, you should consider sticking with a natural alternative. To remove stains from concrete naturally, you should use flour and hydrogen peroxide. Mix these ingredients together until they form a paste that closely resembles the consistency of peanut butter. Apply it to the stained area and allow it to sit overnight. In the morning, you can scrape up the paste and the stain should be removed as well. When it comes to cleaning a concrete driveway or garage floor, a degreaser will be a necessity. Antifreeze and oil stains are unavoidable in areas utilized by vehicles. Contrary to believe, even a new vehicle can spring an oil leak without a moment’s notice. Any fluid utilised in a vehicle will stain the surface of your garage and driveway immediately upon exposure. 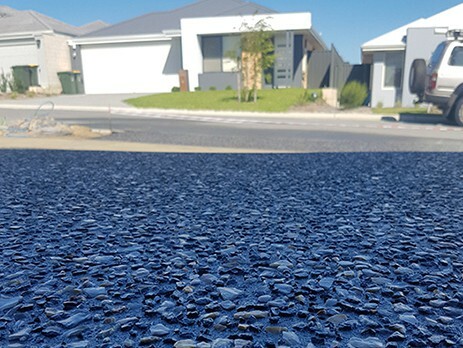 A commercial-grade degreaser, solvent-based cleaning agent, will remove water-insoluble substances, such as paint, oil, grease, abrasive dust and corrosive products from concrete driveways. Apply the degreaser directly to the stain, let it set for one to two hours and then utilise a pressure washer to remove the residue. If the stain has completely vanished, you can move forward to the next step of the cleaning process. If not, you will need to repeat the degreasing step, utilising a wire brush to help the degreaser penetrate the stain. The idea is to remove all of the stain from the surface, which may or may not be possible. Some people will try to clean their concrete surfaces with a broom, soap and water hose. While this process may work on sidewalks that are not frequented often, it will not work for high-traffic areas, such as driveways. The cleaning process is aimed at removing dirt, debris, stains and other residues from the concrete surface. A broom and water hose will not do the trick, since it will require a high-pressurized force of water to break the residue loose and wash it completely away. If you are concerned about damage caused by the high-water pressure, you can switch the high-pressure nozzle out for a low-pressure nozzle. Your machine may have come with these nozzles when you purchased it. If not, they are available at most home improvement, big box and hardware stores. Concrete is without a doubt one of the hardest and most stubborn surfaces to clean due to the fact that it is so porous and holds dirt extremely well. Making sure that you are putting it the proper amount of research can go a long way to helping ensure that you get your concrete spot free, but old-fashioned elbow grease can help as well. Below, you will learn about some of the different cleaners that are available to you, and how to go about getting the most out of each. pH-neutral cleaners are mild cleaners that were specifically designed for cleaning indoor concrete surfaces that have been sealed in the past. This type of cleaner will only work if the concrete doesn’t have dirt already imbedded in it. With that being said, this cleaner will also work on outdoor concrete as long as it only needs minor cleaning. These types of cleaners are fairly easy to apply and use, as you simply just have to dilute them with water, pour them on the concrete, and scrub the entirety of the surface. After scrubbing the concrete, you just simply let the cleaner soak into the surface for a few more minutes before vacuuming or mopping up the residue. The last step is to just simply rinse the surface off. Acidic cleaners were pretty much designed to remove stains, dirt, and other contaminants that are soluble in an acidic solution. These cleaners are extremely effective when it comes to removing what is known as efflorescence. Efflorescence is a metallic salt that appears on the concrete in the form of a white powder residue and doesn’t wash away with water. This is a common occurrence in areas that are constantly exposed to hard water or have a high soil alkalinity. Acidic cleaners come available in both ready-to-use and concentrated formulas. For the most part, these cleaners are just applied directly to the contaminated areas followed by some light scrubbing. It is even possible that some of the more stubborn stains might require an additional application. After cleaning your concrete with acidic cleaners, it is crucial to rinse the area with clean water. Enzymatic/bacterial cleaners are one of the newest types of cleaners available on the market, as they use organic chemistry to breakdown and fight specific stains. These types of cleaners are only designed to breakdown very specific types of stains like starch-based stains, hydrocarbon-based stains, and protein-based stains. These are pet urine, oil, and grease stains.